Out Of The Furnace, Scott Cooper’s follow-up to the award-winning Crazy Heart, boasts a all-star ensemble cast and accurately barbed, but not much else. This revenge thriller, if you can call it that, suffers from a conventional, extremely plain narrative that trudges along drearily, flinging cliches every which way, but never offers anything meaty enough to sustain its lengthy run time, nor its deserving-of-better cast and the qualities it emits through its production credits. 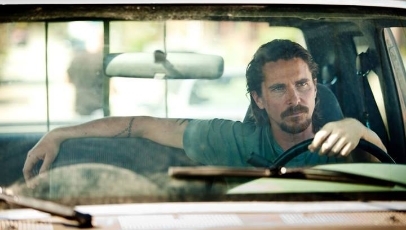 When a tragic accident lands Russell (Christian Bale) in prison, his brother Rodney (Casey Affleck), who’s recently returned from the horrific war field of Afghanistan a broken, shell of his former self, finds himself embroiled in the world of bare-knuckle wresting, under the bad influence of kingpin Harlan DeGroat (Woody Harrelson). Upon his release, it’s up to Russell to seek out DeGroat in an effort to save his brother. With nods to The Deer Hunter and other classic retribution tales, Out Of The Furnace has a lot to admire. Cooper directs with conviction, creating a vivid and palpable sense of tension throughout. The setting, in and around a small steelworks town hit hard by the country’s economic downturn, paints a realistic picture, and the characters are therefore seen as people limited by their circumstances, and not merely by their lack of interest in doing better for themselves. The cast, too, hold up their end of the bargain, delivering fiercely convincing performances. Affleck and Harrelson are particularly memorable in their respective roles, while Bale does what he can with the material he’s presented, including a rigid love interest, played unremarkably by Zoe Saldana. But, while the characters are mostly interesting in their own respects and the intentions are nothing but good, the lack of structure in the narrative lets the side down. Co-written by Cooper and Brad Ingelsby, the film merely trickles along at a unhurried, tiresome pace, playing into nearly every familiar touchstone in the book. Instead of being punchy and courageous like it demands, it’s purely run-of-the-mill, with very few distinguishable twists and turns to reward audiences continued investment. It’s not terrible per se (far from it, in fact), but for a film so strong in other areas, being safe and prosaic simply isn’t good enough.